Jordan is an Oklahoma transplant, having moved to Atlanta, Georgia, for high school and college. Jordan obtained a Bachelor’s Degree in Public Relations from the University of Georgia. I am a Tahlequah native who attended the University of Oklahoma majoring in English Literature. Since the great “Tea Party of 2013,” we have graduated law school and started our careers, interning and working for various civil litigation firms in the Tulsa metro. If you would have told us a year ago that we would actually be opening up our own adoption law practice, we might have fallen out of our chairs. What started as silly banter and farfetched dreams quickly evolved into a clear sense of God’s calling on our lives. We believe that God has divinely orchestrated this crossroads in each of our careers. As volunteers for Tulsa Lawyers for Children, we have discovered a system replete with safeguards designed to protect children who need it the most. We have also developed the deepest respect and admiration for those grandparents, foster families, stepparents, and others who willingly open their homes to provide a safe and stable environment for a child. While we know that adopting one child won’t change the world, for that one child, the world will change. Our hearts are moved by those who readily welcome the most vulnerable among us into their homes and into their lives. It is your compassion that drives our mission. Building families through adoption is a complex process, both legally and emotionally. However, we are committed to walking alongside you. We seek to provide an extremely personalized experience from our very first consultation to the joyous moment when your adoption is finalized (and even beyond). We will provide zealous advocacy every step of the way. Wanting to adopt? We would love to meet you! 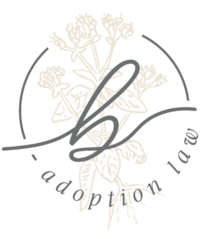 To learn more about the legal aspects of adoption, please contact us at (918) 973-2188.